Power Star Pawan Kalyan, chief of Jana Sena is currently interacting with the people as a part of his porata yatra in Andhra Pradesh. In the process he is planning to know their problems and promising to solve them once voted to power. Pawan who visited Relli colony in East Godavari district gave a powerful name to a small kid. He carried the kid on his shoulders and named him as Power Shankar much to the delight of all. He promised to solve the problems of Relli community. 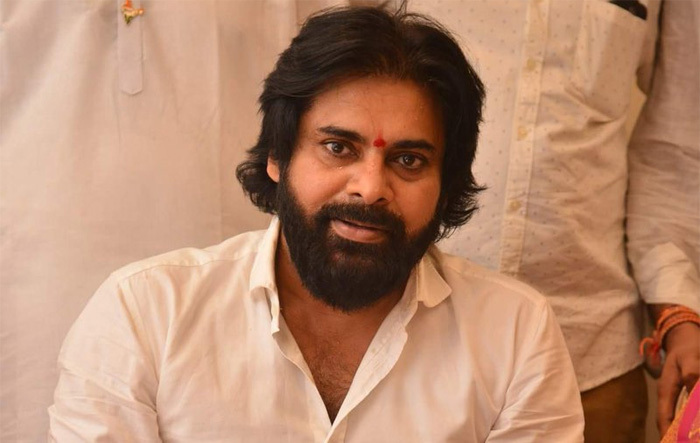 Pawan as a chief of Jana Sena is leaving no stone unturned to speak on the burning problems and even coming out with suggestions and solutions to eradicate them from the roots. Pawan Kalyan, however, hasn’t yet disclosed his decision of contesting in next elections in Telangana. Bunny’s Strong Warning To Trivikram!